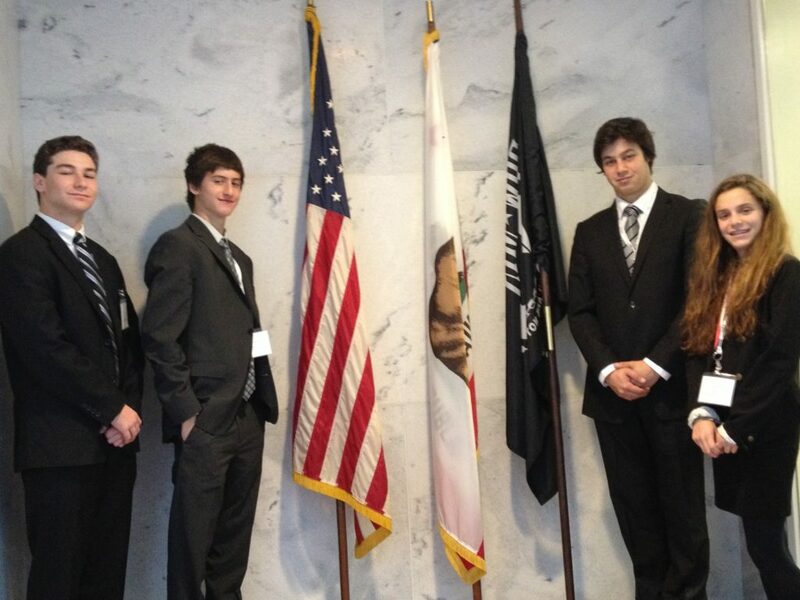 Students learn about Israel advocacy in Washington, D.C. I want you to imagine a bagel, actually 125 bagels. Everyone close your eyes and imagine these 125 sesame bagels floating right in-front of you. It might seem weird that but thanks for doing that, and for those who listed, you can open your eyes now. Each one of these floating bagels has individually been my Sunday breakfast purchased at Hebrew High. Two bagels a week, 25 weeks a year, 5 years, 125 bagels. It’s an achievement that I’m proud of, and together they symbolize an acquisition of Jewish knowledge and learning. And when you think about it, with the cumulative 3.69 liters of cream cheese shmeared in the middle, we’re talking more than a few Shabbos lunches. 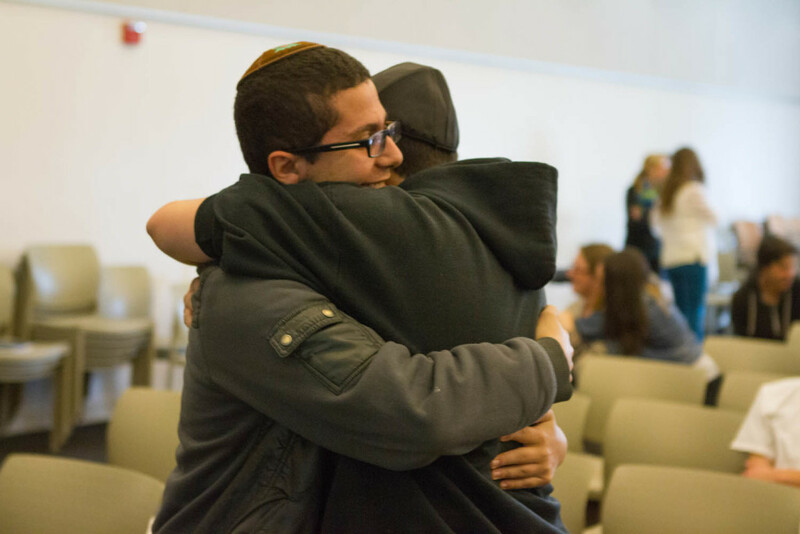 The first Sunday of class, when I got off the bus at Pierce College, I saw the impossibly large amalgamation of Jewish teenagers gathered from every corner of Los Angeles, who all had been dragged out of bed at an un-teenagerly early hour; and pushed out the door for of early morning Jewish education. At the end of that first day there was an assembly, where Bill Cohen, the principal then, asked all of the 8th graders to stand up to be acknowledged by the whole community. I sheepishly stood-up and looked around the room at my new classmates. Most of the faces were new but a few were others familiar from USY and summer camp, but all were equally embarrassed. On a basic level, Hebrew High would become a place from where I would learn to recognize these faces. 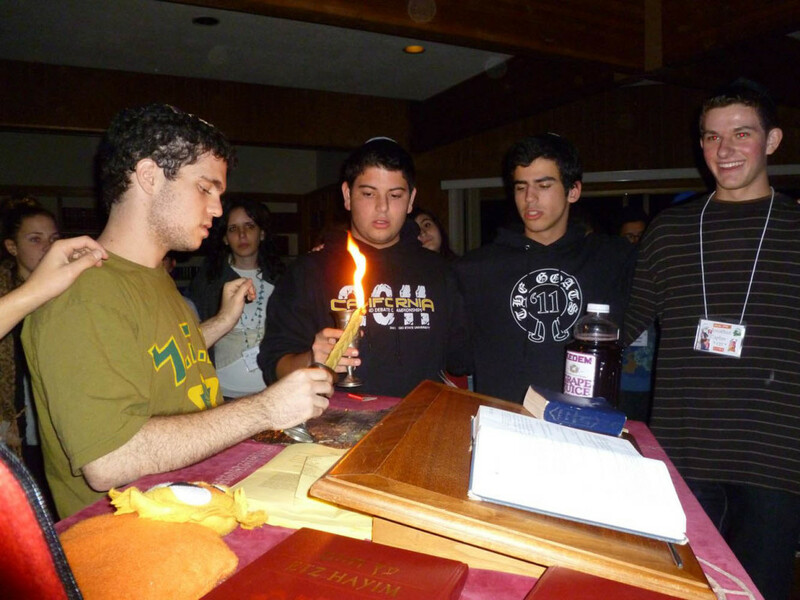 Hebrew High became its own unique community, and our class, the class of 2010, would come to lead it. 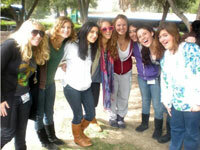 The first year, classes at Hebrew High, were unlike any other experiences in my Jewish Education. 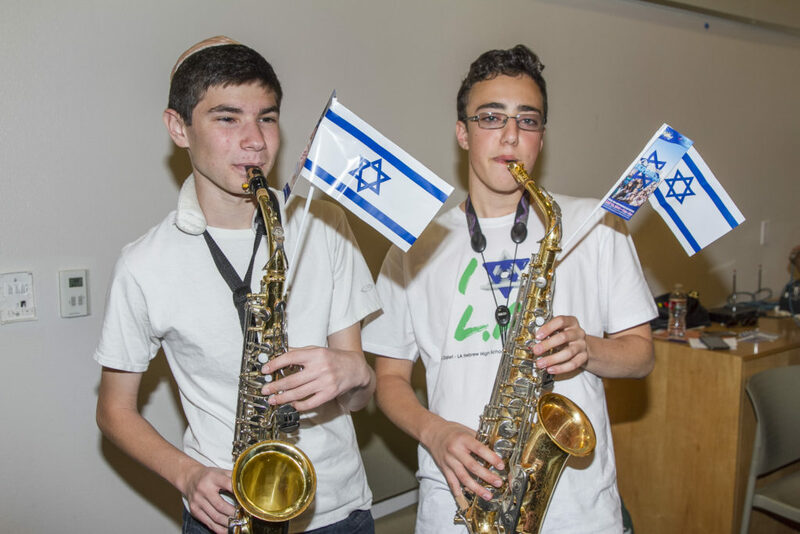 Not that I had an unsatisfactory Hebrw-school experience before, but Hebrew High presented opportunities for us to learn Jewishly in a familiar way, with classes, electives, and passing periods, just like high-school, except for that cow-bell. The classes were focused and taught by knowledgeable and experienced teachers, who are themselves passionate learners, often studying on their own what they taught in the classroom. The subject matter has always been advanced and the teachers have always treated students as adults, even though at times I can’t say I exactly acted like one. The first year’s worth of bagels was interesting. It was marked by Parshat Hashavua and Jewish Ethics, and this class, a class my friends and sarcastically referred to as Jewish Ethnics were the two required courses for all 8th graders that set the tone for the later courses on Israel and Modern Jewish History, the Meaning of T’filah, Rabbinics, and Jews in Media, that we’d all eventually share together. And the result- a complete perspective into the basics of Jewish culture, liturgy, history and ethics. As I learned more, evidence of this new knowledge would spillover from Hebrew High into what I guess I’ll call my Los Angeles English High without me noticing. How else can I explain writing an essay on the Diaspora for World History, or casually referencing Hassidism in a discussion about Puritan New England in English class? Senior year, the last 25 bagels. Throughout the year, we seniors took our Senior Seminar course organized and advised by the wonderful Erica Solomon. Every week we had a new speaker for a fresh topic or perspective, to name a few: Talks on Jewish Ethics in War, Judaism and Homosexuality, Fate v. Free-Will, and an influential and meaningful three part program with Beit T’Shuvah. Each course helped to synthesize the knowledge acquired throughout the previous years. And with each week there would be a fresh look of wonder on that new speaker’s face, provoked by the surprise that a group of teenagers could really know that much. Wednesdays and Sundays started to pass by. The weeks went each marked with a perfectly shmeared and well deserved sesame bagel. And nobody can argue that bagel wasn’t well deserved. The cancelled late-night Saturday plans or school-nights up late doing homework which was pushed back by an interesting Halacha class are sacrifices I’m sure we’ve all had to make to be here at graduation tonight. But this time has been traded for something meaningful, something concrete. 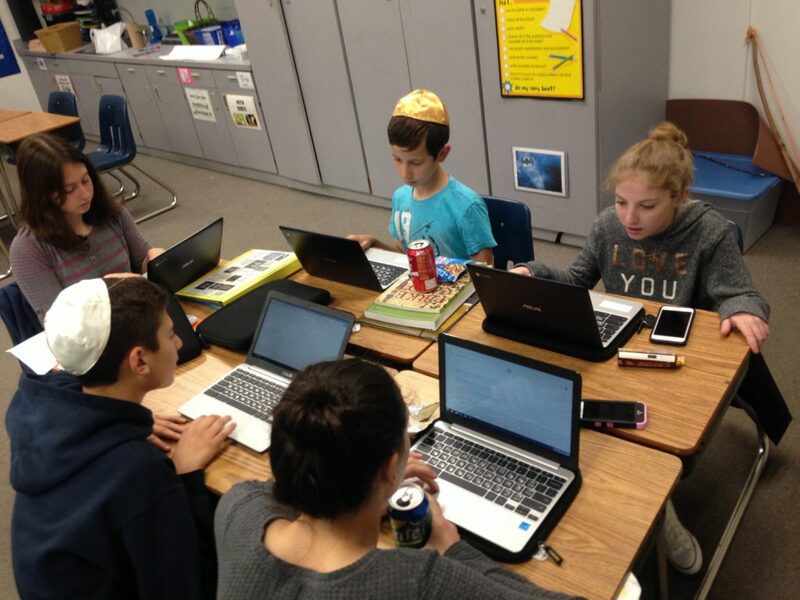 Hebrew High has been anything but a Jewish supplemental education. Hebrew High has engrained an educated Jewish perspective in me that wouldn’t be as prevalent otherwise. 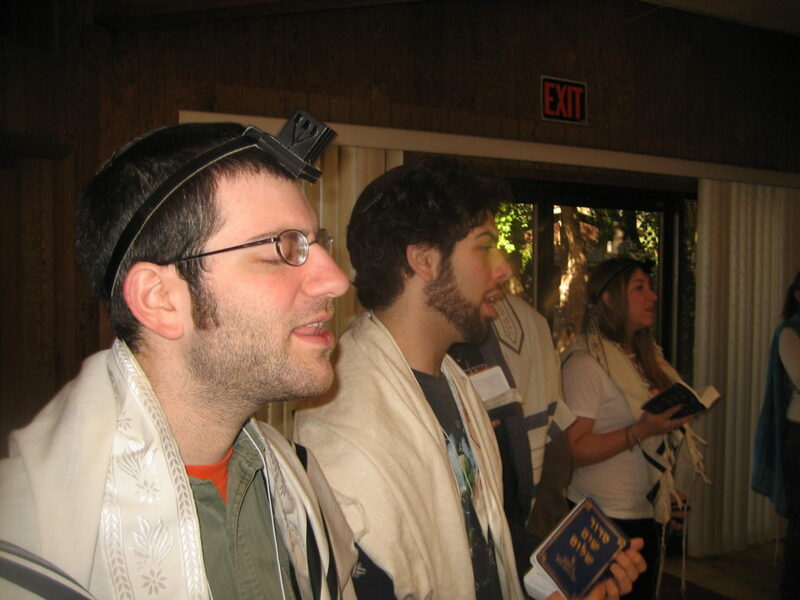 We have been taught here that the Jewish people are unique in their religious, historical and ethical traditions, like other cultural or ethnic groups. Now it means a lot to walk through the secular world, like we all do, with this affirmed and active perspective. And from this self-understanding I have found empathy with the plight of other minority communities across our country and globe, a strength that has inspired social action, and an understanding that has come to shape many of my own opinions and beliefs. I learned that everyone shares their own historical, cultural and religious perspective. So with my Jewish education, Hebrew High has taught me to celebrate pluralism and multicultural understanding. 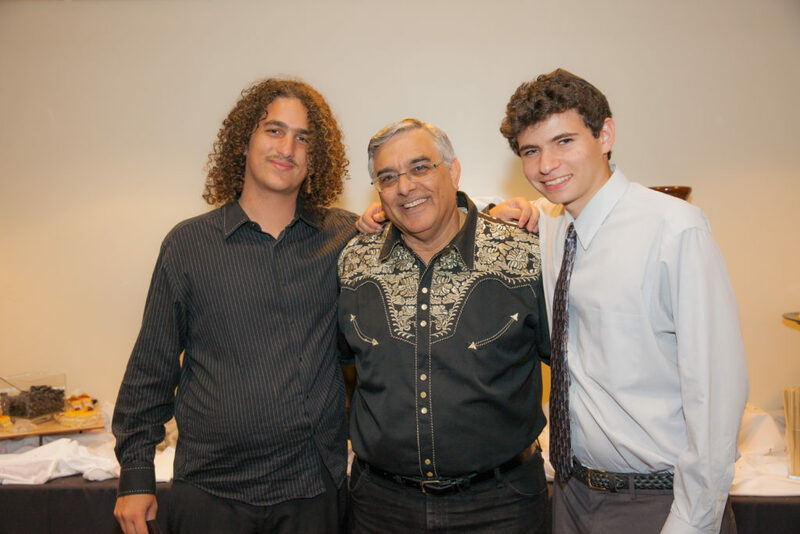 It is this perspective and learning that we will all go out and expand, and I am sure that my classmates like our teachers before us will become the movers and shakers in the Jewish community who too have attended LA Hebrew High. So I guess here- I’m down to my last bagel. It’s disappointing I have to admit it, and scary to think that I won’t be attending Hebrew High School next year. It’s been a long run, but if my time here has proven anything, it is that sticking with this stuff really works towards a firmer grasp on Jewish identity and its breadth of knowledge. So in learning and Bagels, I see two things that I won’t get tired of anytime soon. 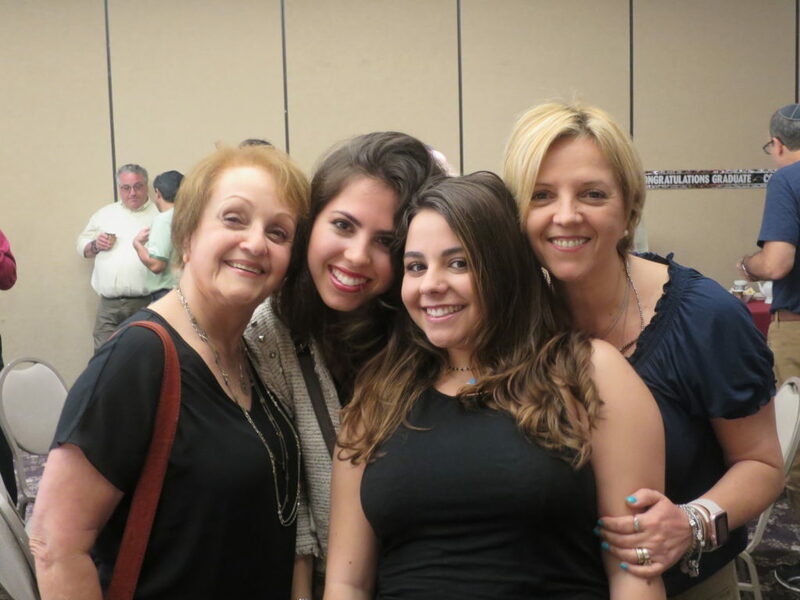 Sisters and LAHHS alumni, Camila (left of middle) and Bianca (right of middle), with proud mom/LAHHS teacher, Mariel Seta.